Who is Ram Dass, formerly known as Richard Alpert? He was first known as the research partner of Timothy Leary at Harvard University. They worked together from 1960 to 1963 on Psilocybin and LSD research (most probably funded by the CIA), but things got out of hand, as they usually did when Leary was in charge. Leary was not interested in a military or psychiatric use of these mind-blowing, rediscovered chemicals. No, he was fascinated by the religious experiences felt by almost everyone among the test subjects, starting with students, soldiers, prisoners, but continuing rapidly among psychiatrists (Oscar Janiger, Stanislav Grof), philosophers (Gerald Heard, Alan Watts), writers (Ken Kesey, Anais Nin), artists (Robert Crumb), poets (Allen Ginsberg), followed by sportsmen (baseball pitcher Dock Ellis), computer pioneers (Steve Jobs), journalists (Hunter S. Thompson), musicians (Beatles, Ray Charles), scientists (Francis Crick) and intellectuals in general (Aldous Huxley being the most prominent). And Leary and Alpert of course tried out these mind-altering substances themselves and thereby quickly lost “scientific objectivity”, but on the other hand, gaining widespread persuasiveness and charisma. Leary is seen by many as the central initiator of the ensuing hippie counterculture of the 60s and 70s. But what if the main figure of this alternative counterculture would have been a softer version of a “guru”, like for example Ram Dass? In 1962, Alpert and Leary founded the “International Foundation for Internal Freedom” where they continued their research in Mexico, then later at a nicely secluded “LSD-mansion-hotel” in Millbrook, New York. In 1966, LSD became illegal and in 1967, Alpert traveled to India, had many enlightening experiences with his guru (Neem Karoli Baba), from whom he received his new name Ram Dass (“Servant of God”). When asked if he could sum up his life’s message, he replied, “I help people as a way to work on myself, and I work on myself to help people.” Surely an introverted, indirect and “soft” way to change the world. And it’s a slower and more patient style than the world revolution that Leary so radically and explosively wanted to provoke. Truly a positive (and a little too naive?) thinker – with a vision to transform the United States of America. Leary also liked to compare himself with Socrates and was proud of “being canned” by the Harvard principal and having been to 40 prisons in 40 countries. While Hofmann mentioned Leary’s research partner – Richard Alpert – in the beginning of his memoires, Alpert somehow vaporizes in the middle of his memoirs. This mysterious partner has somehow parted with the vision of this “enfant terrible”, provocateur and rebel, and went on a pilgrimage to India. Why the different paths after taking the same “drug”? Do they have innately opposite personalities from the beginning? Why did the US government and the media concentrate only on Leary, not on Ram Dass? A new documentary by Gay Dillingham has just been produced with the title “Ram Dass & Timothy Leary: Dying to Know”. The Logo on the film poster is a Yin-Yang symbol where the names Ram Dass and Timothy Leary take the position of the black or white dots. The film revives this lifelong friendship of these opposite personalities with numerous interviews – spanning 50 years – and invites us to ponder questions about life, drugs & the biggest mystery of all: death. During their adventurous lives, both Leary and Dass talked a lot and wrote a lot. The “war on drugs”-government, the CIA, celebrities like the Beatles, philosophers and psychiatrists seemed only to listen and be entertained by the sharp-tongued preacher of “Turn on, tune in, drop out”. Especially the last mantra “drop out” – out of school, out of society, away from your jobs, your church, your tradition, against monogamous marital relationships, against all norms. This surely sounded like the imminent foretaste of anarchy. It was a program to deprogram your whole past education. A war on the conservative establishment of social and political status quo. But what was Ram Dass preaching during that time, in the shadow? Leary, on the other hand, concentrated more and more on new scientific and technological discoveries and possibilities, like Genetics or interconnected computers. He rightly predicted that the PC would become the new LSD. We surely are hooked to this Internet nowadays. The total chaos that he failed to bring into real society was suddenly plausible in the cyber world where everyone has a say and can fulfill his full potential and connect endlessly. 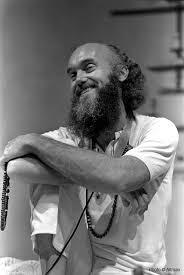 What was Ram Dass doing in the 80s, the 90s? After writing many best-selling self-help books like “Doing Your Own being”, “The Only Dance There Is” and “Journey to Awakening: A Meditator’s Guidebook”, he hosted the documentary A Change of Heart, shown on many PBS stations. It examined taking social action as a meditative act. 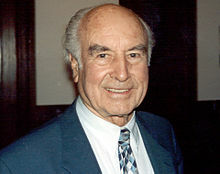 Dass gave many lectures and, fortunately, reunited with Leary at many public events. They both remain curious explorers, if using different words and different methods — still mastering the art of chuckling about themselves, not taking life too seriously, experimenting, staying alive. Neither Leary nor Alpert were ideal to represent the totality of mystical experiences that LSD and many other psychoactive plants like psilocybin mushrooms, Ayahuasca, the Peyote cactus and many other “catalyst medicines” can provide. Owing deeply to courageous pharmacologists like Albert Hofmann or Alexander Shulgin, we now live in a pharmacological wonderland to discover all the potentialities of the human brain. We are still in the midst of a global propaganda war on drugs, or as Leary put it “the war on reality”; the control of mass media, uniformized education, corporation controlled universities. 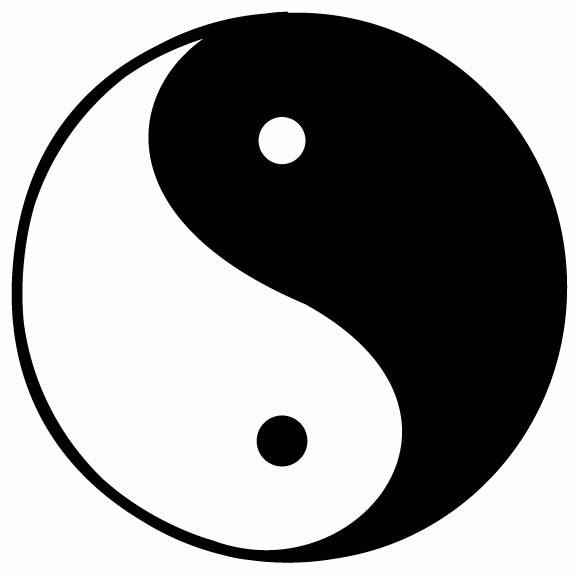 A synthesis of Leary’s “PC-drug” and Dass’ “OM-drug” could lead us all into a freer, more humane, more peaceful and more individualistic, but also more considerate, and yes, more anarchic or archaic world – and still keeping the excellence of accelerating technological evolution or mutation. The psychoactive substances are just tools, or in Dass’ words, ‘doorways’, to reach a different state, to forget your ego for awhile, to reconsider your goals in life, to reintegrate the repressed past, to learn to love yourself and all the others around you. And to get a glimpse of your eternal self, your soul, your true being – being itself. There is much scientific research on promising substances being done now again. Medical Cannabis is unstoppable thanks to the success story of Colorado and the new focus on the Cannabidiol CBD, not THC, as an important healing ingredient of that magic herb. Much more optimistic research findings will surely follow. And still, the narrow-minded, measure-fixated method of distant observation won’t solve all the riddles of life and consciousness. You sometimes need a courageous self-experimenter like the recently deceased rediscoverer of Ecstasy, Alexander Shulgin, who stated: “You find the basic emotions (e.g. in drug experiments with animals), but you don’t find the subtleties of the mental process.” Our mind is still the most complex computer and measuring machine we know of. And most of all: a simultaneous receptor and creator. I really hope that resuscitated research into nature’s wonder plants will soon not only come from the neuroscientist, but once again from anthropologist and religion researchers. With Ayahuasca tourism and Marihuana bus trips being legalized and commercialized regionally, we are on the brink of a new era with an inevitable paradigm shift, a leap into a new awareness. I hope this time we won’t demonize nor glorify simply a “drug” or its proponents. But try to regulate it, canalize it, contextualize it, ritualize its use as an initiation for those who wish to explore, to research, to heal and get inspired, get insight into the Unconscious, personal or collective, past, present or future. Our global transport infrastructure works pretty well too. As adults with a driver’s licenses, we shouldn’t be deprived of joyrides and traveling – of outer and inner universes. While Ram Dass “turned on” to a spiritual, meditative, introverted approach to life, Leary kept exploring restlessly in many fields until his death in 1996. Ram Dass keeps blogging to this day. His recent post (June 11, 2014), titled “Transformation of a Man”, deals with his subtle despair from continually coming down from drugs and how he went to the East to become a true seeker.